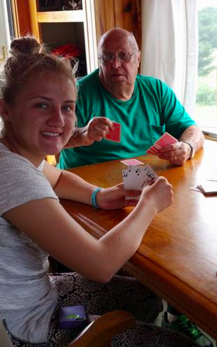 So this is a picture of my grandmother, Susan Brown, this past year. 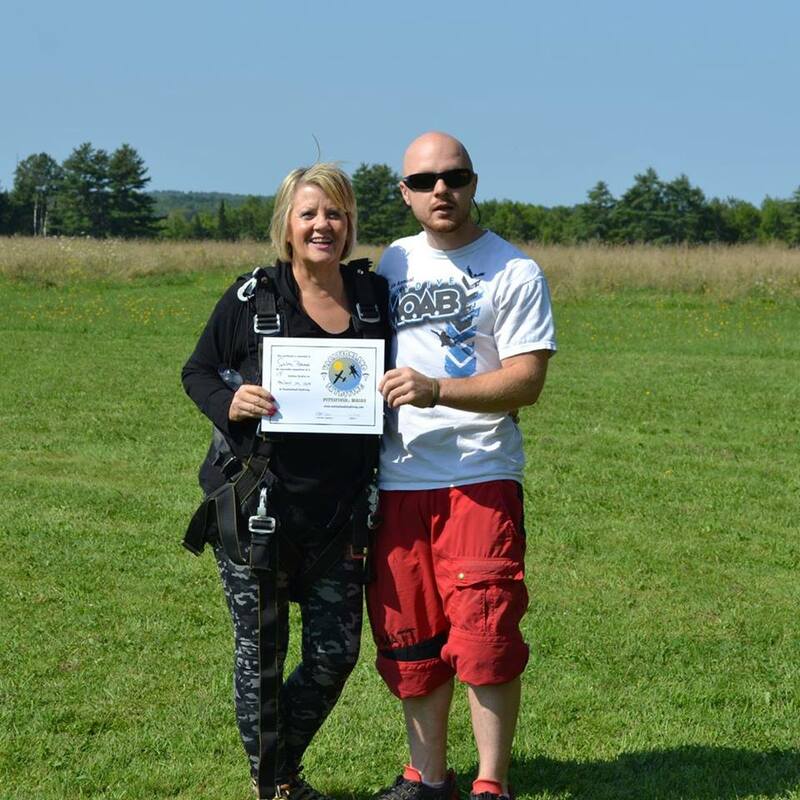 My grandmother went skydiving to celebrate her birthday this year… it’s casual. Yep. This photo was taken right after her first skydiving experience. It’s pretty much safe to say she is a certifiable badass. I can tell what you are thinking right now… probably the same thing that any waitress of ours has thought in the past- “Wow! There is no way she is your grandmother. She looks so young!” Well, yes, she does look young, and that is because she is. She is 60 years old, which means my grandmother, or “Nany” as I call her, and I have a very different dynamic than most other grandparent-grandchild relationships. We share a lot of things in common: our music taste, our fashion sense, our creative sides. 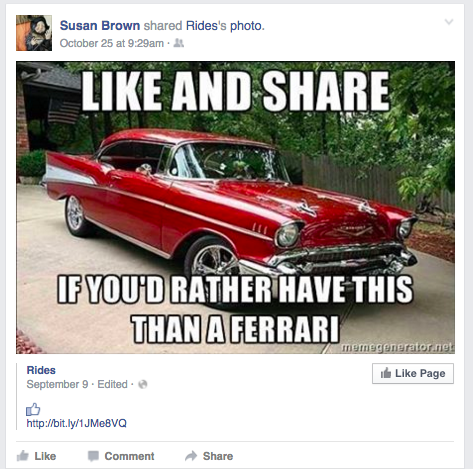 However, the generational gap most notably differentiates us in one key way: our Facebook decorum. My grandmother has 2 Kindles, a laptop, a desktop, a DSLR camera, and a smart phone. 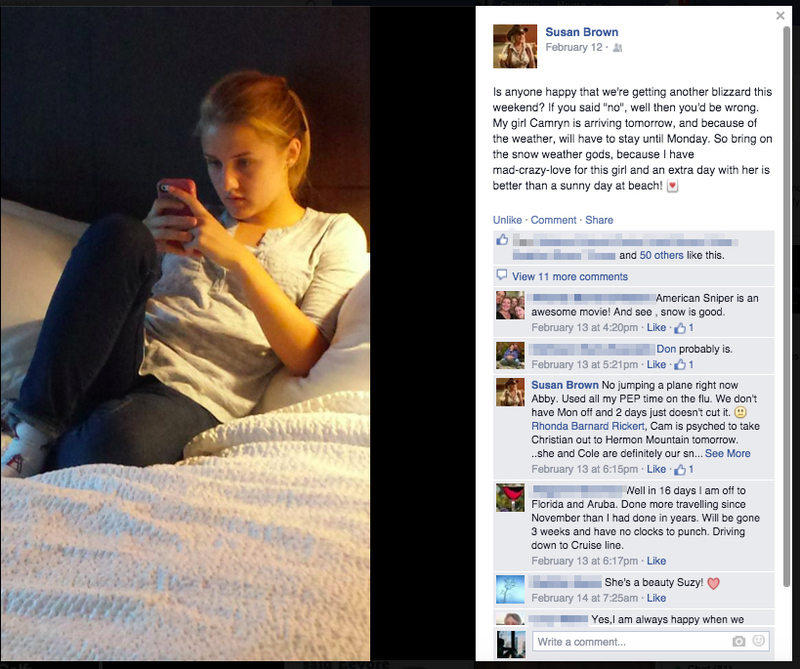 She is technologically savvy, to say the least. Thankfully, since I attend college in Chestnut Trill, MA, I am able to stay connected to her via Facebook. She has a massive social media presence- sometimes to my humor, and sometimes to my embarrassment. 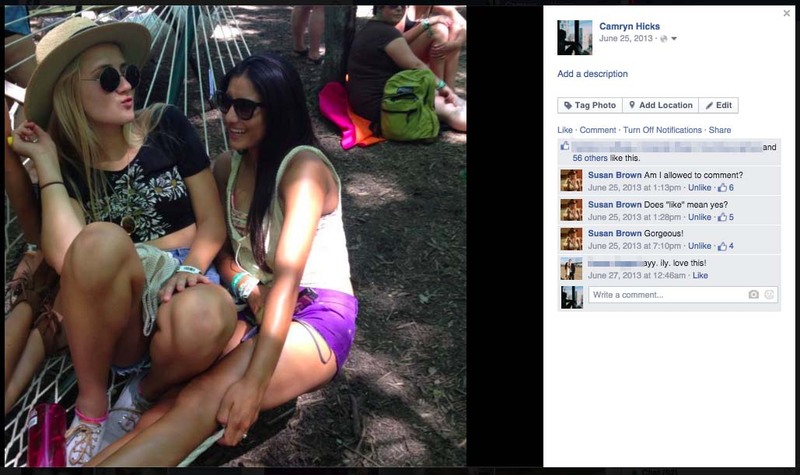 My Facebook friendship with my Nany is something quintessentially 2015. Since only our Facebook friends usually get the gift of our interactions popping up on their timelines, I thought I should spread the joy and post them on a more public forum. Here is a list of 10 (out of many) times I regretted clicking the “Accept” button to my grandmother’s Facebook friend request. 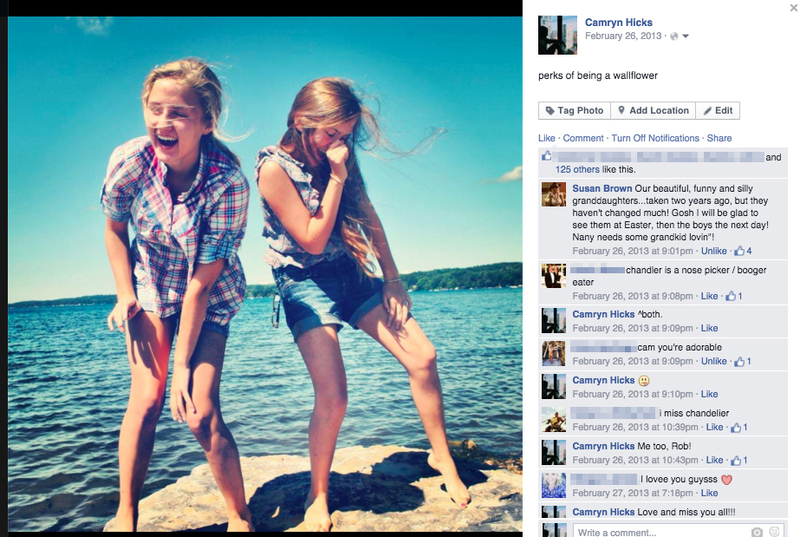 That time she commented on my photo asking for permission to comment on my photo. That time she commented asking for permission- and didn’t even wait for the answer. 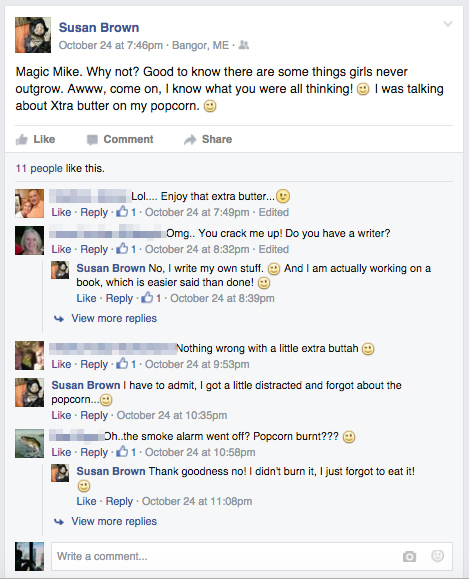 That time she made her status a movie review… of Magic Mike. 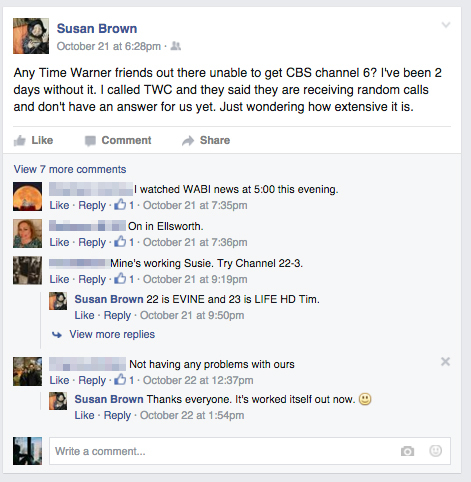 That time she deferred to Facebook to answer a question about cable television. 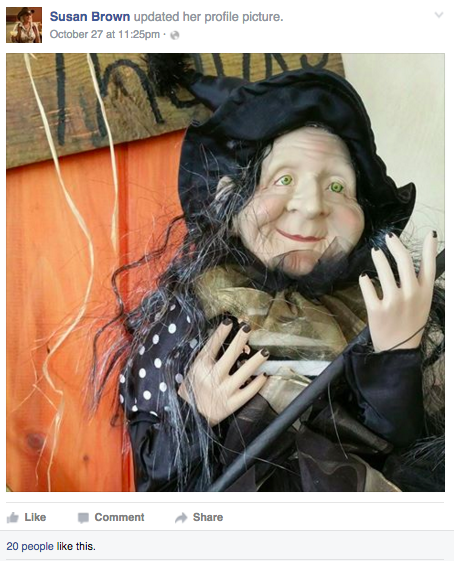 That time she made her profile picture a witch… and got more likes than I get on some of my posts. That time she aged herself. 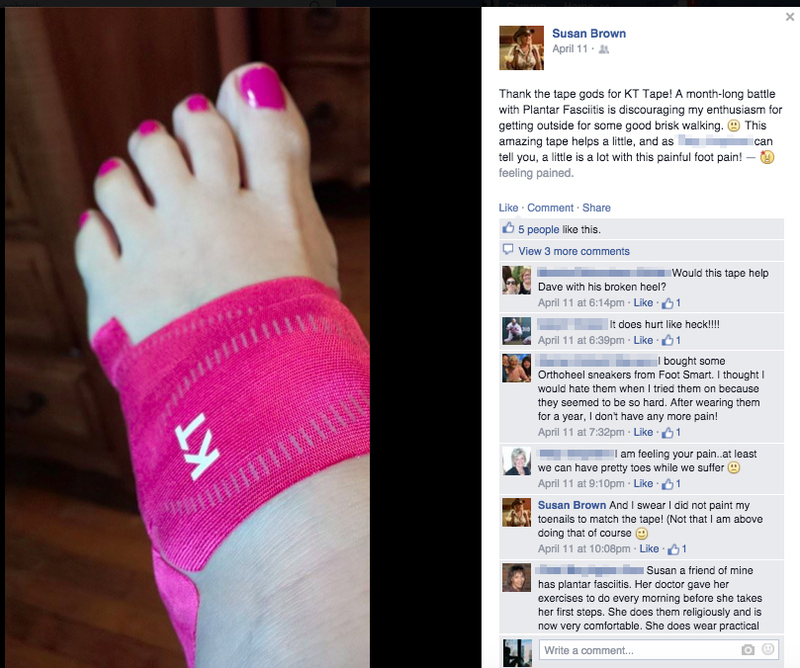 That time she shared TMI. That time she made me look like a jackass for being on my phone while she wrote a sweet sentiment about our time together. That time she referred to our time together as “grandchild lovin'”. 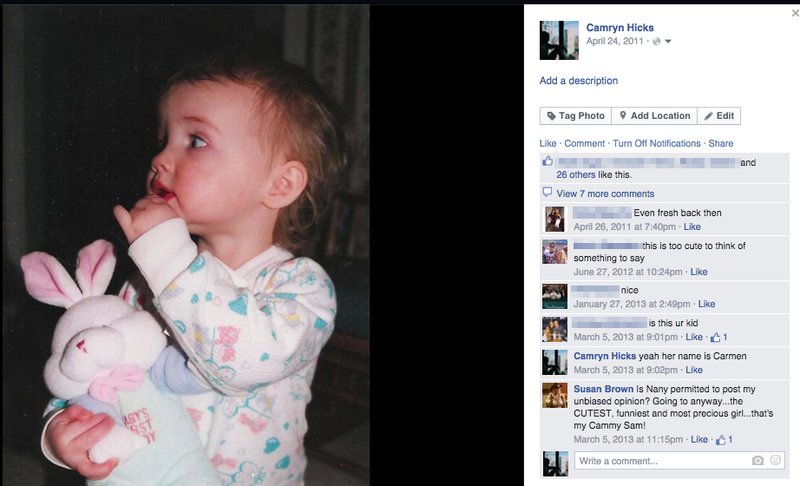 That time she uploaded the most horiffic photo I have ever seen of myself. I love your grandmother and have known her for many many years and I have to tell you,Camryn,You made me laugh so hard! Thanks for sharing your grandmother with all of us! I love her and she saved my life,yes for real.I love the view from your side of the tracks!!! This was just what I needed to start my day before I go to school and teach! Thanks. I have known your grandmother since she was a little girl.she and I are cousins.She has always been a wonderful person.any one that knows her,loves her.